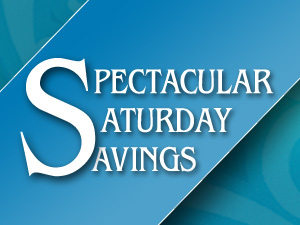 Home > News > News > “Spectacular Saturday Savings” – Buy Three, Get One Free! “Spectacular Saturday Savings” – Buy Three, Get One Free! Here’s a great opportunity you won’t want to miss – AMT’s “Spectacular Saturday Savings!” When you purchase three regularly priced adult tickets for a 10:30 a.m. performance on December 3, 10, or 17 of The 2011 Christmas Show, “Winter Wonderland,” we’ll give you a fourth ticket, of equal or lesser value, FREE! To take advantage of this “Spectacular Saturday Savings” offer, you can call our box office at 800-648-4102 or purchase your tickets in person, using the Promotion Code SATCMAS. A spectacular show and super savings – a great combination for a perfect holiday treat! We’re sorry – This offer is not available for online purchases. Not valid on previously purchased tickets; cannot be combined with other offers.